Also known as the "Flying Banana", the Piasecki H-21 was a highly innovative tandem-rotor helicopter for its time. 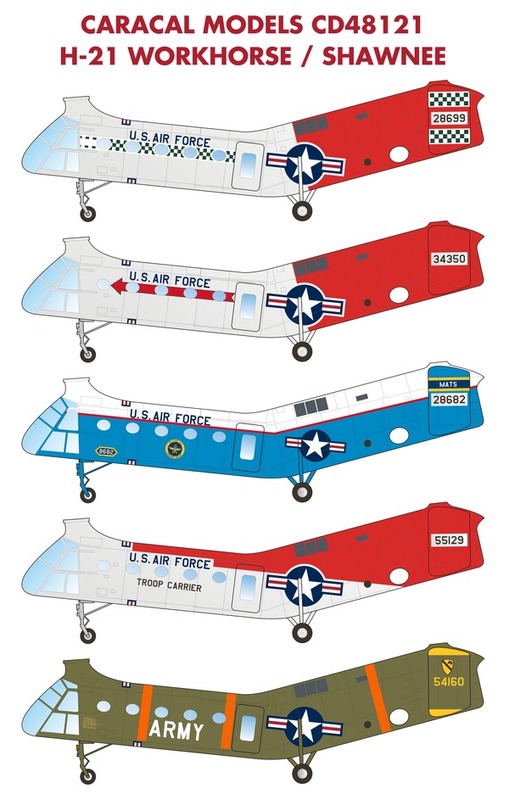 Designed for the 1/48 scale Italeri kit, this decal sheet provides accurate markings for five H-21's from USAF and US Army units. 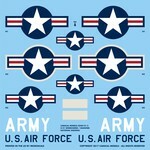 Stencilling for one USAF and one US Army example are included. Please note that several options on this sheet require precise placement over the kit windows, and are designed to fit the Italeri kit only. The main markings sheet was professionally screen printed by Cartograf in Italy. 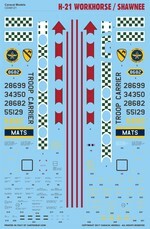 The national markings sheet was printed by Microscale in the US.